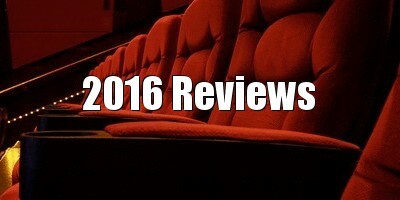 Many of the best short films, particular those of a horror bent, focus on creating a single simple scenario rather than attempting to cram a complex narrative into their limited run time. 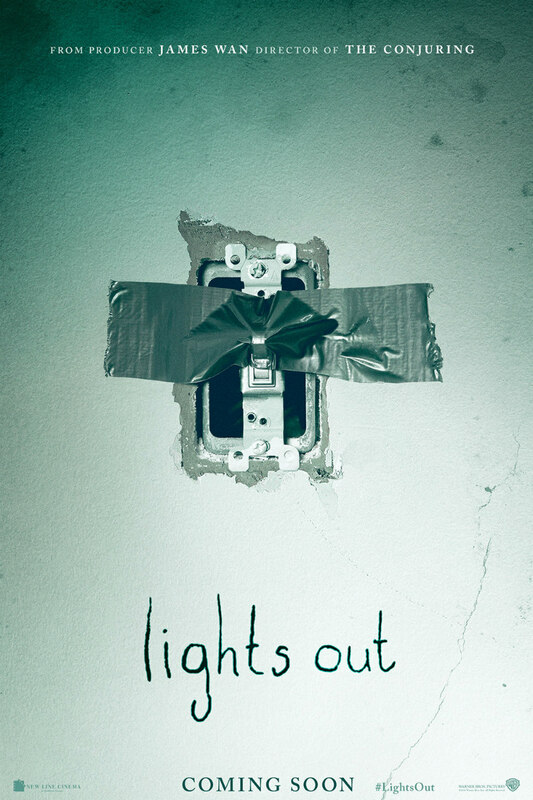 David F Sandberg's 2013 short Lights Out is one such example. In the short, a woman (Sandberg's wife Lotta Losten) finds herself menaced by a mysterious demonic figure that only appears in darkness. So impressed were the Hollywood suits that Sandberg was offered a $5 million budget to expand his short into an Eric Heisserer (of the remake of A Nightmare on Elm Street and The Thing prequel) scripted feature and possible franchise starter. For the most part, it's a successful translation. In a nod to the original short, the feature opens with another woman played by Losten, again encountering the darkness dwelling demon, this time in a fashion warehouse. Lights out: demon. Lights on: no demon. The woman tries to warn her boss, who ignores her before coming face to face with the figure himself, resulting in his pre-credits demise. We learn the victim was the ex-husband of Sophie (Maria Bello), a mother with a history of depression, which begins to resurface in the form of Sophie seemingly talking to herself. When her young son Martin (Gabriel Bateman) discovers his mother's imaginary friend is none other than the demon that killed his father, he is taken into the care of his twentysomething sister Rebecca (Teresa Palmer). But it seems the demon has followed the siblings, and carries a hostile grudge against the family. Adapting the short into a feature requires the establishment of those elements the former could skip over - plot and character development - and Heisserer's script struggles in its attempts to carve out a mythos, relying on the tired horror trope of mistreatment at a psychiatric institution as the backstory for Lights Out's antagonist. There are more than a few awkward scenes in which characters are forced to explain the plot, and a face-palming scene that sees Rebecca discover a box full of newspaper clippings that conveniently spell out the origin story of 'Diana', the movie's J-horror inspired villain (can we please move beyond the 'girl with long dark hair' design?). When Lights Out settles into its meat and potatoes set-pieces, it's highly effective, creating dread without spilling a drop of blood. Sandberg takes horror back to its roots, exploiting our lizard brain fear of the dark, a phobia we've carried as a species since we cowered in caves at night before the invention of fire. He finds clever ways to ramp up the tension through the use of light and shadow, be it the flashing neon tattoo parlour sign that strobes Rebecca's bedroom, or a Tarkovsky nod which sees Martin attempt to move quickly through a darkened house without extinguishing his candle. If Lights Out finds itself bogged down at times by an exposition heavy script, Sandberg's skills in the scares department help us overlook such matters, and with its antagonist's backstory now dispensed with, there's potential for this to develop into a franchise horror fans can enthusiastically embrace. Lights Out is on Netflix UK now.